From a regulatory perspective, the most noteworthy events in the Belgian banking sector in 2017 were the implementation into national law of the second Markets in Financial Instruments Directive (MiFID II)2 and the fourth Anti-Money Laundering Directive (4th AMLD).3 The new legislation amends the Act of 25 April 2014 on the status and supervision of credit institutions (the Banking Act). The Banking Act aims to integrate into Belgian law the three pillars of the EU Banking Union: the single supervisory mechanism (SSM), the single resolution mechanism and the common deposit guarantee schemes. Other relevant developments in the area of banking regulation during 2017 included the insertion in the Banking Act of new fit and proper requirements by means of the Act of 5 December 2017 and the issuance of several communications and circulars by the National Bank of Belgium (NBB) on, inter alia, the rules governing the extension of loans, credit and guarantees by a credit institution to its managers, shareholders and related persons and specific guidelines on crisis management. Pursuant to the Banking Act, only the following types of entities may collect deposits of cash or other repayable funds from the public or offer such services to the public: Belgian credit institutions (i.e., Belgian entities registered as credit institutions with the NBB), including Belgian subsidiaries of foreign credit institutions; credit institutions established in the EEA and holding an EEA passport (i.e., EEA credit institutions operating in Belgium either through a branch or pursuant to the principle of freedom to provide services); and branches of non-EEA credit institutions established in Belgium that are registered with the NBB. An institution will be deemed to take deposits from the public in Belgium or to offer to do so if, to collect cash deposits or other repayable funds, (1) it engages in any type of marketing activity (newspaper, radio or television advertising, standard documents addressed to potential clients, telephone or internet contact, etc.) targeting more than 50 people; (2) makes direct or indirect use of one or more intermediaries; or (3) directly solicits or has solicited on its behalf more than 50 people. Only the above-mentioned types of institutions can refer to themselves as a ‘credit institution’ or ‘bank’ in their corporate name and purpose, their securities and other instruments or documents they issue, and in any marketing materials. Furthermore, these institutions may provide investment services (as defined in MiFID II) in Belgium without having to obtain a separate licence. With the exception of certain types of loans for which separate registration is required (mainly consumer credit and mortgages), lending is not a regulated activity in Belgium and may therefore be conducted without a licence. Supervision of the Belgian banking and financial sector is based on the ‘twin peaks’ model. Since 1 April 2011, the NBB has been responsible for the prudential supervision of Belgian credit institutions. The Financial Services and Markets Authority (FSMA) (which replaced the former prudential bank regulator, the CBFA) is in charge of supervising the financial markets (including listed companies as well as financial products, services and intermediaries), and has heightened powers as regards consumer protection and financial information. As regards the prudential supervision of credit institutions, the Banking Act must now be read in conjunction with the SSM Regulation of 15 October 2013,9 which provides for the allocation of supervisory powers between the European Central Bank (ECB) and the NBB. For more information about the applicable rules, see the European Union chapter. At the macroprudential level, the NBB is, without prejudice to the powers of the ECB, responsible for ensuring the stability of the financial system as a whole. To achieve this objective, the NBB has been entrusted with the following tasks: the detection and monitoring of various factors and developments that may affect the stability and robustness of the financial system (e.g., an accumulation of systemic risks); and the issuance of recommendations on measures to be implemented by the competent national authorities, the ECB or other EU authorities to contribute to the stability of the financial system. In addition, in carrying out its macroprudential duties, the NBB may use any of the following (non-exhaustive) measures: imposing additional or stricter own funds or liquidity requirements; imposing additional or stricter limits on the total level of activity of the institutions as a percentage of their own funds (leverage ratio); or imposing asset valuation rules different from those normally imposed under the applicable accounting rules. Before adopting any of these measures, the NBB must inform the European Systemic Risk Board, the European Commission and the ECB. At the microprudential level, the supervisory authority (i.e., the ECB or the NBB, depending on whether the credit institution is considered ‘significant’ under the SSM Regulation) is responsible for ensuring that credit institutions comply with all provisions of the Banking Act, its implementing decrees and regulations, and directly applicable EU regulations. To fulfil its role, the supervisory authority may (1) request any information concerning the institution’s organisation, functioning, situation or transactions; (2) carry out inspections at the institution’s premises (including branches in another EEA Member State, provided the competent authority in the host state is informed beforehand) and make copies of all relevant information; and (3) ask an expert to conduct investigations on its behalf at the institution’s expense. In addition, credit institutions must notify the supervisory authority in advance of any strategic decision they intend to take. The supervisory authority then has two months to object, which it may do if it considers the decision to violate any provision of the Banking Act or to be incompatible with sound and prudent management, or if it feels that the decision could have a significant impact on the stability of the financial system. The supervisory authority may send a formal notice to a credit institution – whether systemically important or not – asking it to remedy a situation if it considers that the credit institution is not acting in accordance with the provisions of the Banking Act or its implementing decrees and regulations, the Capital Requirements Regulation (CRR),11 the Markets in Financial Instruments Regulation (MiFIR)12 or the Commission Delegated Regulation supplementing MiFID II,13 or if it considers that the credit institution could fail to comply with any of these instruments in the next 12 months. The supervisory authority may set a deadline by which the credit institution must remedy the situation. d require the credit institution to reduce the risks related to certain types of activities or products or to its organisation, if necessary by imposing the sale of all or part of its business. In addition, the supervisory authority may, at any time, request the credit institution to implement all or part of a recovery plan. If the supervisory authority takes any of the above-mentioned actions against a credit institution with a branch in another EEA Member State or that provides cross-border banking services in the EEA, it must inform the host country’s competent authority of the measures taken, without delay. If the supervisory authority finds that an EEA credit institution providing banking services in Belgium, either through a branch or on a cross-border basis, does not comply with its obligations in Belgium, it must notify the competent authority in the home country. If the credit institution continues to act in a way that is clearly prejudicial to the interests of Belgian investors or to the proper functioning of the markets, the supervisory authority may take any of the measures listed under points (a), (b) or (c), above, if the institution acts through a Belgian branch, or under (c) if the institution acts on a cross-border basis. With regard to the supervision of Belgian branches of non-EEA credit institutions, the NBB can exercise the same powers and tools as it does for Belgian credit institutions. If a credit institution has ceased providing banking services for more than six months or has been declared bankrupt, the ECB will revoke the institution’s licence. adequate independent internal audit, risk management and compliance functions. Each financial institution must prepare and update a corporate governance memorandum containing information about its internal organisation. In addition, credit institutions must establish four specialised committees within the board: audit, risk, remuneration and nomination. They are also required to establish a management committee. All members of the management committee must also be members of the institution’s board of directors, which is responsible in this case for supervising the management committee’s activities, determining the bank’s general policy and strategy, and performing all other duties reserved to it by law. In particular, the board plays a key role regarding the implementation and control of the bank’s risk appetite, assessment of its internal control mechanisms and verification of compliance by the institution with various regulations. All managers and members of the board of directors must be natural persons. They are required to devote sufficient time to the exercise of their functions within the credit institution, and the external offices or functions they may hold or perform are subject to limitations. In addition, directors, managers and heads of independent control functions must be deemed ‘fit and proper’ to carry out their duties at all times. An NBB circular of 17 June 2013 on the standards of expertise and professional integrity provides additional insight into how the NBB interprets and assesses this requirement. In December 2015, the NBB published a manual on the governance of credit institutions, describing the main governance requirements applicable to credit institutions with reference to all relevant policy documents (i.e., the Banking Act and its legislative history, Belgian regulations and circulars, European legislation, and international standards). The NBB manual was updated by the NBB in September 2017. With respect to the remuneration of bank managers and employees, the Banking Act implements the requirements of CRD IV. As a general rule, credit institutions must have a remuneration policy that ensures sound and prudent risk management and prevents excessive risk-taking. The remuneration policy should apply to all ‘risk-takers’ (i.e., those whose professional activities have a material impact on the institution’s risk profile (e.g., directors, managers, heads of independent control functions). Annex II to the Banking Act provides that the variable remuneration of risk-takers must be capped at 50 per cent of their fixed remuneration when the latter exceeds €100,000. In addition, the Banking Act provides for penalties and clawback mechanisms in the event of considerable losses, non-compliance with the fit and proper standards, or participation in fraud. As regards golden parachutes, any compensation exceeding 12 months’ remuneration must in principle be approved by the general meeting of shareholders. Furthermore, golden parachutes must reflect the actual performance of the beneficiary in the long term, and should not be granted in the event of shortcomings or irregular behaviour. 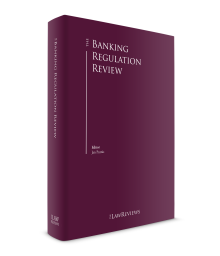 The CRD IV and the CRR, which transpose the Basel III standards into EU law, entered into effect on 17 July 2013. The Banking Act implements these regulations into Belgian law. As a general rule, a credit institution must have a liquidity and capital requirements policy that is appropriate to its activities. To this end, the board of directors must define a prospective management policy that identifies the current and future liquidity and capital requirements of the institution. The policy must take into account the nature, volume and characteristics of the institution’s activities and the associated risks. It should be regularly assessed and updated when necessary. If the supervisory authority learns that an institution’s policy is not in line with its risk profile, it may impose additional solvency, liquidity, risk concentration or risk position requirements. The equity structure of credit institutions is currently divided into Tier 1 (Common Equity Tier 1 and Additional Tier 1) and Tier 2 items. Tier 1 capital is considered to be going concern capital and is intended to allow the institution to conduct its activities and prevent insolvency. Tier 2 capital is known as going concern capital and consists of hybrid instruments, undisclosed reserves and subordinated debt. Its purpose is to absorb losses and repay depositors and creditors if the institution fails. The Royal Decree of 25 November 2015 approving the NBB’s regulation of 24 November 2015 determining the rate of the countercyclical Tier 1 capital conservation buffer, entered into force on 1 January 2016. The countercyclical capital buffer is defined by the NBB as a macroprudential instrument designed to mitigate cyclical systemic risk and counter pro-cyclicality in lending. On 24 November 2015, the NBB set the countercyclical capital buffer at zero per cent. This decision is reassessed quarterly. As at 22 December 2017, the countercyclical capital buffer was still set at zero per cent. The main consequence of the implementation of the CRD IV and the CRR for liquidity supervision of Belgian financial institutions is the transition from the NBB’s liquidity ratios to the European liquidity coverage ratio (LCR). The LCR aims to ensure, on the basis of a stress test, that financial institutions have sufficient liquid reserves to cope with outflows for a period of 30 days. The CRR provides for implementation of the LCR in phases, between 2015 and 2018. Given the possibility of imposing stricter requirements, the NBB decided to apply the LCR in full to all Belgian credit institutions (on a stand-alone and consolidated basis) and financial holding companies (on a consolidated basis) as from October 2015. This requirement will also apply, on a consolidated basis, to the Belgian subsidiaries of foreign credit institutions or financial holding companies, and the Belgian branches of non-EEA credit institutions. In October 2014, the Basel Committee published a revised version of the second liquidity ratio (Net Stable Funding Ratio (NSFR)). The NSFR is a structural liquidity ratio that requires credit institutions to finance their illiquid assets with stable sources of funding such as equity, deposits by individuals or small and medium-sized enterprises (SMEs), and long-term liabilities. The NSFR will be implemented as from 2018. On 15 April 2014, the European Parliament adopted the BRRD, which provides common tools for addressing a banking crisis proactively and managing failures of credit institutions in an orderly way. The Banking Act, several royal decrees and the Act of 27 June 2016 amending the Banking Act transpose the provisions of the BRRD into Belgian law. The Banking Act requires all credit institutions to implement and update a recovery plan. The plan must be analysed and approved by the institution’s legal and administrative bodies, and should consider different scenarios (such as a serious financial or macroeconomic crisis) and provide for various measures – other than a state guarantee – to be implemented in the event of significant deterioration of the institution’s financial situation. These measures should enable the institution to recover its financial position quickly and without negative effects. The recovery plan must be established within six months of the company being accredited as a credit institution, and must cover the credit institution as well as its Belgian and foreign subsidiaries. Its adequacy will be assessed by the competent supervisory authority, which may take specific measures if it finds that the plan does not meet the applicable statutory requirements (e.g., it may order the credit institution to adjust its risk profile or review its strategy and structure). The Act of 25 April 2014 on various provisions, which was adopted on the same day as the Banking Act, created a Resolution Authority within the NBB. The Resolution Authority is responsible for preparing the resolution plan provided for by the Banking Act. Rules on the functioning and organisation of the Resolution Authority are set out in the Royal Decree of 22 February 2015. Pursuant to the Banking Act, the resolution plan defines the measures – other than a state guarantee – that may be implemented by the Resolution Authority in the following circumstances: (1) failure of the credit institution is confirmed or expected; (2) when it is unreasonable to believe that prudential action could prevent the failure of the credit institution within a reasonable period of time; and (3) if a resolution measure is necessary in the public interest to ensure the continuity of the institution’s critical functions, avoid disruption of the Belgian and international financial systems, and protect insured deposits. The resolution plan must cover the credit institution as well as its Belgian and foreign subsidiaries. Pursuant to the BRRD, as from January 2016, bank failures are in principle resolved by contributions from shareholders and creditors of the failing institution (bail-in), and no longer by public intervention (bail-out). This measure is intended to minimise the cost of resolution for taxpayers, and to give bank shareholders and creditors a greater incentive to efficiently monitor the institution’s financial situation. Further provisions on bail-in obligations were inserted in the Banking Act by the Royal Decree of 18 December 2015. Rules on the transfer and mutualisation of ex ante contributions to be made by credit institutions to the Single Resolution Fund are provided for in a separate intergovernmental agreement entered into between 26 Member States of the Banking Union, including Belgium, on 21 May 2014. The Single Resolution Fund is the resolution financing arrangement for the single resolution mechanism. It can only be used to the extent necessary to ensure effective application of the resolution tools and for specific purposes (e.g., to guarantee the assets or liabilities of, or make loans to, the institution under resolution). This intergovernmental agreement was approved on 27 November 2015. There is no consolidated set of conduct of business rules applicable to institutions providing banking services in Belgium. However, applicable rules may be found in various pieces of legislation. Moreover, a number of professional associations have drawn up their own codes of conduct. the Royal Decree of 25 April 2014, which imposes certain information obligations upon the distribution of financial products to retail clients. Since 1 January 2015, it is in principle prohibited for any credit institution to engage in proprietary trading activities, either directly or via a Belgian or foreign subsidiary. This prohibition covers, inter alia, positions in financial instruments held by the institution with the intent to generate short-term profits (e.g., through speculation on price fluctuations) or high-risk trading strategies that are likely to result in substantial losses. This prohibition is based on the principle that a credit institution may not use its clients’ deposits for speculative purposes that make a limited contribution to the real economy. The prohibition on proprietary trading does not apply to certain trading activities, such as the provision of investment services to clients, market-making activities, hedging, treasury management and long-term investments. However, these authorised activities are capped, and must comply with specific quantitative and qualitative requirements. An NBB regulation of 1 April 2014, approved by the Royal Decree of 25 April 2014, establishes specific rules on permitted proprietary trading activities. On 30 March 2015, the NBB published a circular on periodic quantitative and qualitative reporting requirements with respect to proprietary trading. This circular applies to Belgian credit institutions whose deposits or issued debt instruments are covered by the Belgian deposit guarantee scheme, and contains specific instructions and templates for the quarterly quantitative and annual qualitative reporting obligations applicable to such institutions. extra-contractual liability: a bank may also be held liable for a tortious act that causes damage to a customer or even a third party if there is a causal link between the act and the damage (Article 1382 of the Civil Code). The act can be a violation of either a specific statutory rule or the banker’s general duty of care, which is measured against the behaviour expected of a reasonably prudent professional. As a general rule, an injured party cannot cite both contractual and extra-contractual liability to claim damages for the same harm or loss; however, as an exception to this rule, an injured party may base a claim on both contractual and extra-contractual liability under the following circumstances: during performance of the contract, the breaching party commits a wrongdoing that constitutes a breach of its general duty of care but not of a contractual obligation, and thereby causes damage that is different from that which would have resulted from improper performance of the contract. In any case, a banker’s liability is assessed case by case, taking into account the banker’s and the customer’s level of expertise, the nature of the transaction, the specific circumstances, and so on. Under certain circumstances, a bank may limit or exclude its liability (both contractual liability and liability in tort) through an ad hoc contractual provision. prudent action when terminating a contract with a customer. In particular, a bank should only terminate such a contract in accordance with the applicable contractual provisions, and should be careful not to act abusively in doing so. There is no formal bank secrecy in Belgium; however, under Belgian law, a banker has a general duty of confidentiality to the bank’s clients. This duty is contractual and customary in nature, and is deemed to be an implied contractual term. Violation of this duty of confidentiality may give rise to breach-of-contract claims. It is generally accepted, however, that this duty does not prevent a bank from disclosing information about its clients further to an official request by a Belgian court or if the client authorises the bank to do so. The duty of confidentiality is also not applicable, to a certain extent, in dealings with the tax authorities, which may request a bank to disclose any information that could be useful in determining the taxable income of a client of the bank, if the authorities have indications of tax fraud or if the client’s taxable income is to be determined on the basis of signs and indications of greater wealth. Belgian banks fund their activities mainly through customer deposits, and Belgium is characterised by high savings rates. In 2017, Febelfin, the representative association of the Belgian financial sector, published a report on the Belgian banking sector in 2015 and 2016. According to Febelfin, total deposits by Belgian customers (i.e., households, companies and public authorities) with credit institutions amounted to almost €545 billion for those years (mainly in the form of savings and current accounts).14 Deposits by Belgian customers with Belgian credit institutions amounted to 125.3 per cent of GDP, compared to the eurozone average of 106.4 per cent for the same period. Other sources of funding include interbank and capital markets transactions, central bank funds and, under certain circumstances, state guarantees. The Acquisitions Directive15 was transposed into Belgian law by the Act of 31 July 2009. The relevant provisions have now been implemented in the Banking Act. If the acquisition or disposal of a shareholding in a Belgian credit institution would result in any of the following thresholds being crossed, the person, acting alone or in concert, wishing to acquire or dispose of the shareholding, must notify the NBB of its intention to do so. Belgium has not opted to set a notification threshold of one-third rather than the standard 30 per cent. The notification thresholds applicable in Belgium are thus 10, 20, 30 and 50 per cent. Upon receipt of a notification, the NBB must inform the ECB, which, under the SMM Regulation, has the power to assess the transfer or acquisition of qualifying holdings in a credit institution. For more information about the applicable rules and procedures, see the European Union chapter. a circular addressed to regulated financial undertakings covered by the Act of 31 July 2009 concerning their obligation to notify the NBB upon learning that a stake in their capital has been or will be acquired, increased, decreased or disposed of, thereby causing the 10, 20, 30 or 50 per cent thresholds to be crossed (upwards or downwards); undertakings must also notify the NBB annually of the identity of any parties holding such a qualifying stake in their capital. Pursuant to the Banking Act, any merger between credit institutions or between a credit institution and another financial institution, as well as any transfer between such entities of all or part of their business, must be approved by the competent supervisory authority, which has two months from notification of the proposed transaction to object. It may do so if it considers the decision to violate any provision of the Banking Act or to be incompatible with sound and prudent management, or if it feels that the decision could have a significant impact on the stability of the financial system. The supervisory authority’s authorisation must be published in the Belgian State Gazette. The Banking Act provides that a transfer of all rights and obligations arising from the business of a financial institution involved in a merger or other transaction (e.g., rights and obligations arising from deposits or loan arrangements) is enforceable against third parties as from publication of the supervisory authority’s authorisation, without the need to obtain the clients’ consent. The Act of 21 November 2017 on markets in financial instruments infrastructure and implementing MiFID II into Belgian law amended the Banking Act, in particular in order to impose additional organisational requirements on credit institutions that provide investment services or investment advice. These new requirements include a remuneration policy for employees of institutions providing investment services and an obligation to record telephone conversations and electronic communications relating to transactions or potential transactions. The Royal Decree of 19 December 2017 laying down rules and procedures for the transposition of MiFID II clarifies a number of provisions of the Act of 21 November 2017 and implements into Belgian law the Commission Delegated Directive of 7 April 2016 supplementing MiFID II with regard to the safeguarding of financial instruments and funds belonging to clients, product governance obligations and the rules applicable to the provision or receipt of inducements. The Act of 18 September 2017 on the prevention of money laundering and the financing of terrorism, and the restriction of cash payments (the New AML Act) implemented the 4th AMLD into Belgian law. 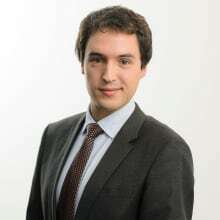 Belgian credit institutions, as ‘obliged entities’ within the meaning of the New AML Act, must comply with modified rules on internal organisational requirements, client identification and verification obligations, data collection, reporting of suspicious transactions, and the like; these rules now follow a risk-based approach. The New AML Act also provides for modified restrictions on cash payments. In addition, the Royal Decree of 10 December 2017 approving the NBB Regulation of 21 November 2017 on the prevention of money laundering and terrorist financing, sets out specific rules on the risk assessment that credit institutions are obliged to perform, and the modified internal procedures and organisational and internal control requirements to which they are subject. On 8 February 2018, the NBB issued a communication announcing the creation of a new section of its website dedicated to the prevention of money laundering and terrorist financing and setting out all the requirements applicable to Belgian credit institutions (e.g., legislation, guidelines, recommendations). The Act of 5 December 2017 inserted new provisions in the Banking Act on compliance and the fit and proper requirements. The new provisions reinforce the role of the management body of a credit institution and the supervisory authority with respect to supervision of the compliance function. They also add new rules intended to ensure that directors and persons in charge of independent control functions are at all times fit and proper by imposing on credit institutions an obligation to notify the supervisory authority of any material change to the information provided at the time of appointment of the relevant persons and by authorising the supervisory authority to reassess whether these persons are fit and proper. On 7 July 2017, the NBB issued a circular specifying the rules applicable under the Banking Act to the extension of loans, credit and guarantees by a credit institution to its managers, shareholders or related persons.16 Loans, credit or guarantees may only be granted to such persons under the conditions, within the limits and subject to the guarantees applicable to clients of the credit institution (i.e., under normal market conditions). The management body of the credit institution must be expressly informed of the extension of a loan, credit or guarantee to any such person within a time frame that enables it to object to any extension of the loan, credit or guarantee. The supervisory authority (i.e., the NBB) must also be notified of the loan, credit or guarantee at the times and in accordance with the rules specified in the circular. It should be noted that these notification requirements only apply if the loan, credit or guarantee exceeds €100,000. On 30 November 2017, the NBB issued a circular announcing that the European Banking Authority (EBA) guidelines on crisis management had been incorporated into its supervisory or resolution authority practice.17 The circular contains a brief explanation of the EBA guidelines, accompanied by a link to the documents in question. Each guideline indicates whether it is addressed to the NBB as the competent authority or resolution authority, or to the institutions directly. Most European directives and regulations adopted in the aftermath of the 2008 financial crisis, including MiFID II and the 4th AMLD, have now been implemented into Belgian law. The structural reform of the Belgian banking and financial sector is nevertheless an ongoing process, the purpose of which is to continuously improve the stability of the financial system and the ability of banks to face future financial turbulence and challenges. In this respect, the NBB is paying increasing attention to the emergence of new players in the Belgian economic and financial markets. In December 2017, the NBB published a study highlighting the reluctance of credit institutions to grant loans to Belgian start-ups developing innovative projects in the new economy, even though some of them are among the best-performing companies. This reluctance can be explained by the fact that the business of such start-ups is generally based on intangible assets, such as new technologies or intellectual property rights, which provide less of a guarantee to credit institutions. In addition, credit institutions are generally encouraged to adopt a risk-averse approach. This finding shows the need to develop alternative sources of financing (such as venture capital) and for credit institutions to keep pace with market developments. On 1 December 2017, the NBB released its annual list of the country’s systemically important banks. The eight banks on the list are the same as those indicated in 2016, namely BNP Paribas Fortis, KBC Group, Belfius Bank, ING Belgium, Euroclear, The Bank of New York Mellon, Argenta and Axa Bank Europe. 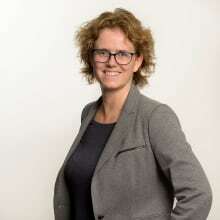 1 Anne Fontaine is a partner and Pierre De Pauw is an associate at NautaDutilh. 9 Regulation (EC) No. 1024/2013. 10 Regulation (EC) No. 468/2014. 11 Regulation (EC) No. 575/2013. 12 Regulation (EU) No. 600/2014. 13 Commission Delegated Regulation (EU) 2017/565. 14 Febelfin, Facts & Figures 2015-2016, available at www.febelfin.be.